Cockroaches may be the most annoying of all pests. They are relentless invaders that can range in size from half an inch to more than two inches in length. Nocturnally inclined, cockroaches feed on your household trash and even pet food and can carry harmful infectious diseases. Though cockroaches can often be eliminated in just one visit, it is important to control the environment so that they do not reoccur. Roaches can access your home or business through the tiniest cracks and crevices in your roof, walls, foundations, laundry vents or even through your plumbing. Since they have very devious ways of accessing your home, many people do not even consider some of the methods they use to gain entry. This alone is an argument in favor of a professional extermination as your own efforts may fail to take their entry routes into consideration. It is important to call us right away at the first sighting of a cockroach. They multiply very quickly and you often won’t see them at all because of their nocturnal habits. Chances are if you see one, there are hundreds more where it came from. 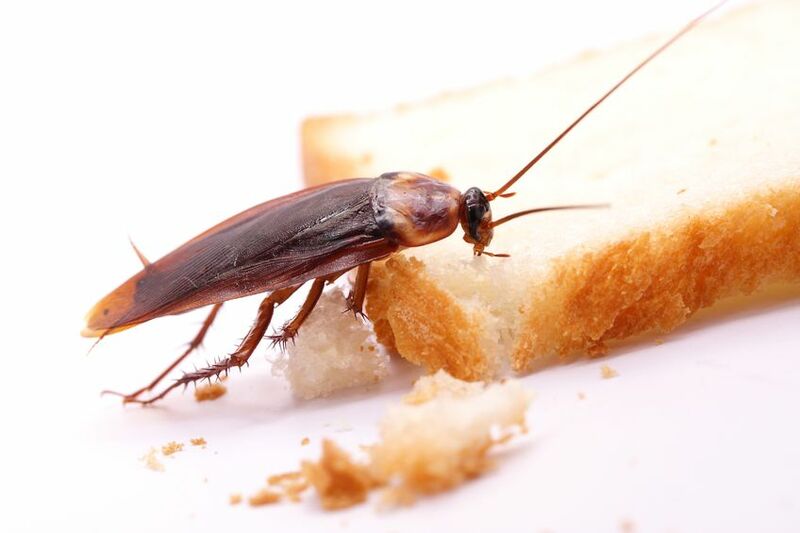 If you have cockroaches at your place of business, it is doubly important to act quickly as their presence could impact your business continuity – especially if you are a restaurant or deal with food or the public in any way. Our methods will eliminate the current cockroach problem and prevent them from returning. If you have seen cockroaches in your home or place of business, call Essential Pest Management right away. We offer emergency service in the Albuquerque area and will help you get rid of the problem quickly so you can get back to what you do best.